Working with Coach Bree for the past few years has made me into the hitter I am today. Whenever I wasn’t hitting well, I would immediately come to her for help. We always worked on the mechanics of my swing, and working with her gave me the confidence in myself whenever I stepped up to the plate. Not only does she make me a better hitter, but she makes me an all-around better player. Going to lessons with Coach Bree has definitely benefited me. Coach Bree is a great coach. She knows all about softball and knows all of the skills that I need to be a better player. She has helped me improve my hitting and my attitude. She’s very cool in a strict way. She makes my lessons fun by making me really think about what I’m doing and how I can make my skills better. I like working with Coach Bree because she works on what I need to work on but also she takes my input on which drills we use. "The mindset of getting into the box has changed for all of us." Coach Bree - Thank you for coming in and sharing your knowledge of the game with VA Legends, my team and I loved everything about [it]! A lot of things you shared with us we now use in every practice and game, especially the bat routines and correcting other team mates, we've gotten closer and getting to know each other better just by paying more attention to our goofy routines. Also, the mindset getting into the box has changed for all of us. We pay more attention to what needs to be done and what should be done. "Working with Coach Becky has taught me how to have confidence on the mound and in myself as a player." I have been working with Coach Becky for over 3 years, over that time period she has shaped me from an amateur level pitcher with no movement pitches and low velocity to a competitive level pitcher with multiple movement pitches and low 60s velocity. Working with Coach Becky has also taught me how to have confidence on the mound and in myself as a player. 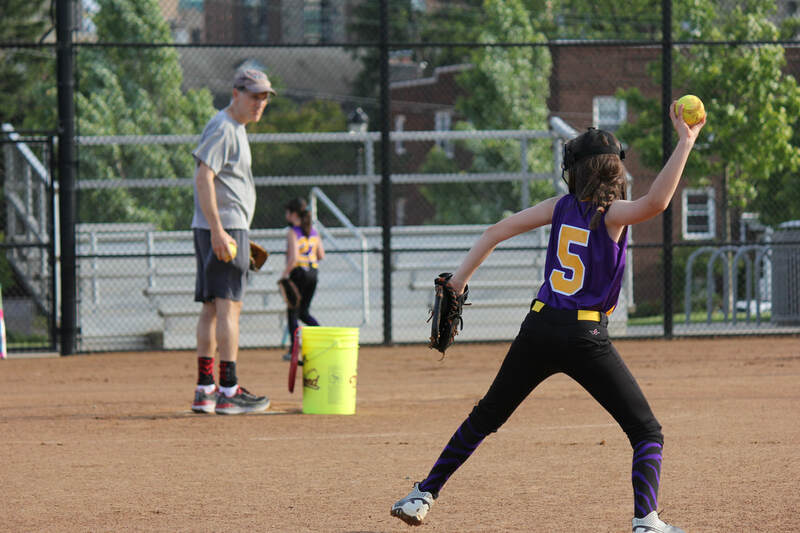 "​Thanks to coach Kristi, I feel much more confident in the batter's box!" I love working with Coach Kristi! She has helped my slapping technique a lot. Not only do I work hard when I'm with her, I also have a lot of fun too. I feel that Coach Kristi has helped me improve as a hitter and as a softball player in general. Coach Kristi not only teaches me so many things during our lessons but also inspires me to practice at home. 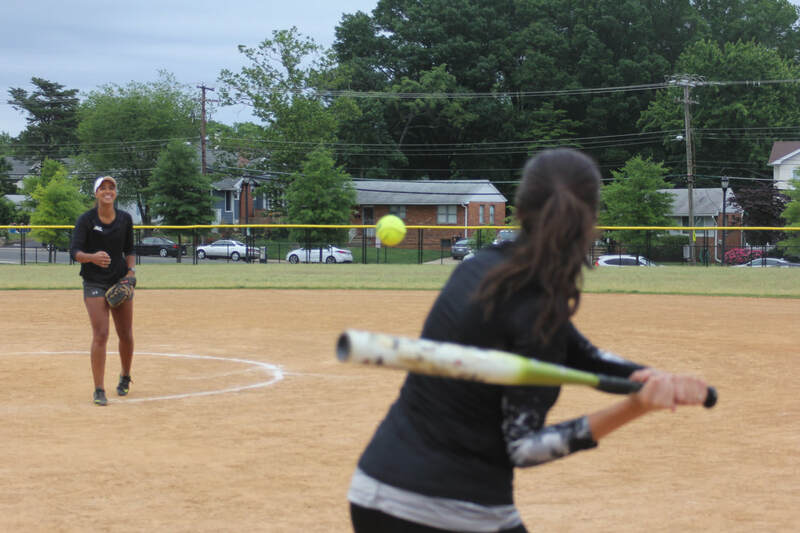 Thanks to coach Kristi, I feel much more confident in the batter's box! "​Bree has sayings, stories, and rhymes, for different parts of your swing..."
As I've been working with Bree for the last couple of months, my swing has improved tremendously! My lasso, chopping, and leaning into the front of the batter's box has changed into a ending with the bat over my shoulder, a level swing, and a balanced load. Bree has sayings, stories, and rhymes, for different parts of your swing, which I think is very helpful during games and practices. I think she is a very smart, and fun hitting coach and I highly recommend her.